The Sevylor Madison is the successor to the Colorado. 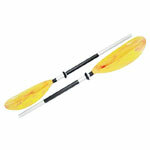 It combines an extraordinary mix of manoeuvrability, stability and comfort. Can be configured as a solo or tandem. The Sevylor Madison is one of the new Sevylor models for 2016 and replaces the Sevylor Colorado. 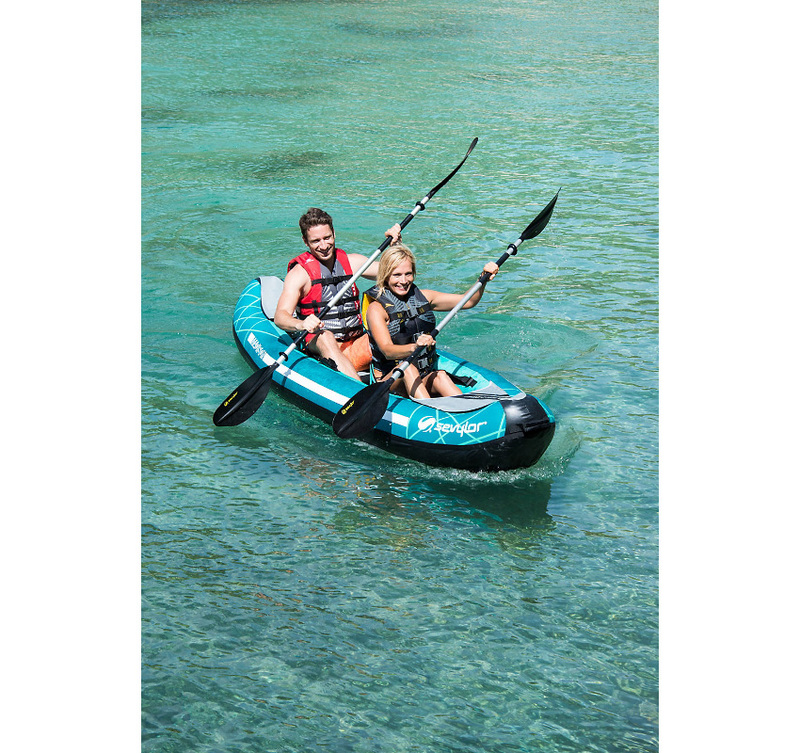 The Sevylor Madison is an extremely versatile inflatable kayak and the new Sevylor seat system can be configured in different positions, which allow the Sevylor Madison to be used as both a tandem and solo kayak. 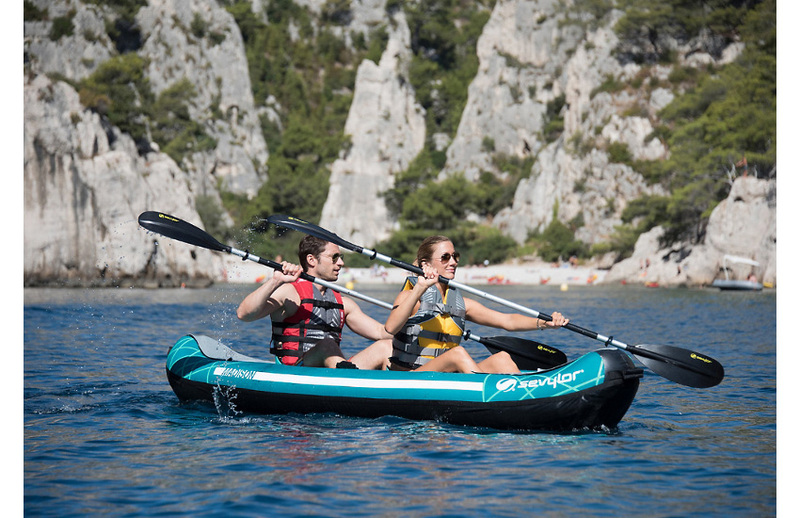 This is very quick and easy to accomplish thanks to Sevylor’s Seat-o-graphy system, with clear markers in the kayak showing where to position the seats for best performance. 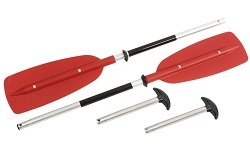 The Sevylor Madison has a small detachable fin and welded-on directional strake which will ensure your Sevylor Madison can be paddled in straight-line with ease, whilst its wide beam and flatter hull shape deliver unparalleled stability making it a great option for relaxed days on the water. 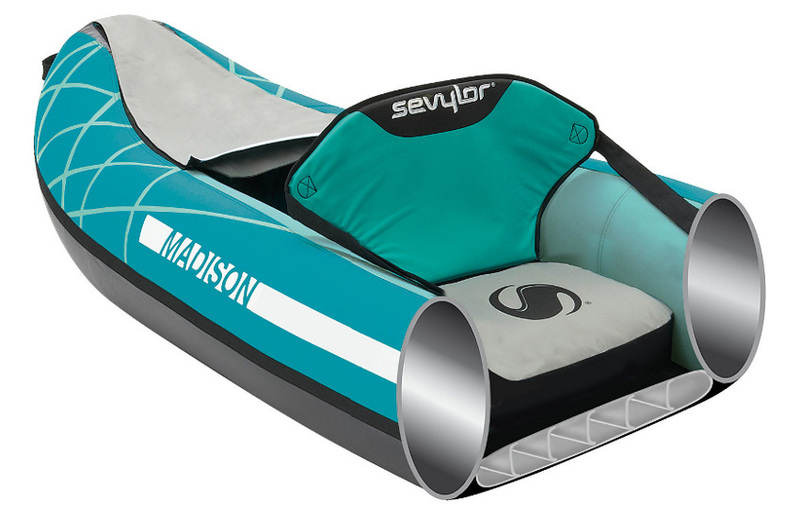 The Sevylor Madison comes with supportive foam backrests on inflatable seat cushions offering you great comfort. The Sevylor Madison has a hard wearing nylon outer shell and reinforced Sevy-Strong Tarpaulin coated hull. Its construction includes 3 separate inner tubes for the floor, left & right sides with one way boston valves. 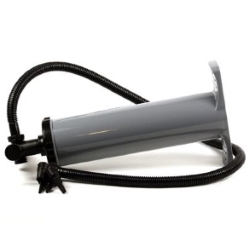 It is quick to inflate normally taking little more than 5 minutes to fully inflate using either manual foot or hand pumps. Alternatively a less energetic option is Sevylor’s electric 12v pump. We offer a delivery service for the Sevylor Madison throughout the UK & Ireland to home and work addresses. Unless instructed otherwise, we endeavour to supply the Sevylor Madison in 3-5 working days within the UK mainland. Delivery times are estimates based on years of experience; we do not offer a guaranteed timed delivery service. Our overnight service works well for the core more densely populated areas of the UK for Clothing and Equipment orders. However more remote less densely populated areas will not be covered by a next day service. Buy a Sevylor Madison online from our website and collect from our shop in Hamworthy, Poole or you can collect from any branch within the Canoe Shops Group. There is no cost associated with in-store collection.